We at Timberlink are committed to sustainability and the responsible management of our environment. We seek to optimise the production of wood products from our natural, renewable resources while minimising our environmental footprint. We respect and acknowledge the rights and interests of all those who live and work in the communities in which we operate. We believe in the importance of corporate social responsibility and we will consult with and provide feedback to all stakeholders who are affected by, or have interest, in our business to achieve a balance between economic viability, social contribution and environmental responsibility. This approach is critical in achieving environmental sustainability and in maintaining a social license for our business. Timberlink is committed to sustainability and the responsible management of our environment. 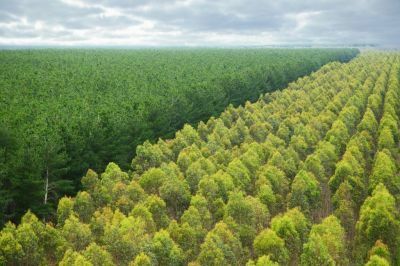 Australia's growing planation trees absorb carbon dioxide (a greenhouse gas) from our atmosphere and then store teh carbon so efficiently that about half the dry weight of a tree is carbon. The carbon remains locked up in the wood when harvested and used for building and there it remains for generations. Our industry is the only major industry to make a significant contribution to reducing Australia’s total emissions. It is alone in having a role in storing the future’s emissions. During growth, trees absorb carbon dioxide (CO2) from the atmosphere through the process of photosynthesis and convert this into carbon-based compounds that constitute various components of a tree, including wood. An Australian study (Gifford 2000) found that half the dry weight of radiata pine wood is made up of the element carbon. To store these carbon atoms, the tree has taken nearly four times the weight of CO2 from the atmosphere compared to the weight of the carbon its stores. A CO2 molecule is made of one carbon atom and 2 oxygen atoms. The atomic weight of carbon is 12 and that of oxygen is 16. The molecular weight of CO2 is therefore 44. This means to store 12 kg of carbon in wood, a tree needs to absorb 44 kg of CO2, or 3.67 times the weight of carbon stored. In photosynthesis the tree absorbs CO2, adds energy in the form of sunlight, stored the carbon atoms in the wood, and releases oxygen and water vapour. So to make one tonne of wood, a tree removed 1.84 tonnes of CO2 from the atmosphere. Now when making and transporting our timber products we do use energy and emit CO2, however we still absorb more CO2 than we produce. 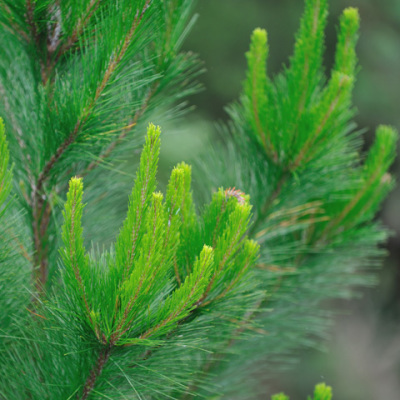 In fact, when everything is taken into account for every cubic metres of kiln dried moulded pine we produce, we have removed 631kg of CO2 from the atmosphere and the timber stores the carbon over its entire lifetime. By being a reliable and successful customer of sawlogs and developing sustainable markets for sawlog residues, we can support the expansion of plantations which play an important role in cleaning our atmosphere through carbon sequestration. Gifford, Roger M. (2000). "Carbon Contents of Above-Ground Tissues of Forest and Woodland Trees: National Carbon Accounting System - Technical Report No. 22." Department of Climate Change, Canberra.